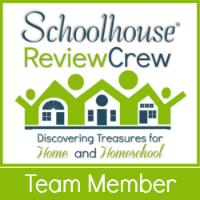 Our Get Out Of Debt Story Is On Purposeful Homemaking Today! I shared with Purposeful Homemaking our story of how my family paid off $55,000 in debt… on one income. You’ll have to go check it out! It really is a testimony to how good God is! They say ignorance is bliss. So I guess I lived in blissful ignorance for a while.Truthfully I was placing an unfair burden on my husband. For years I let my husband manage all of our money. We had no budget. If I needed something, I just asked if we could afford it and being the agreeable man that he is, my husband generally always said yes. After all, I was generally only asking for things that we needed and rarely for anything very expensive. Then one day someone told me they had misplaced a check I had given them and so it had never been cashed. I was bothered by this since I had given this lady her check more than four months before. I should have known that it never cleared. I went home that day and asked my husband about it. It turns out that he just hadn’t been keeping up with reconciling our checking account so I offered to look it over. One thing led to another and I started digging into EVERYTHING not just the checkbook. I discovered we were about $55,000 in debt beyond our mortgage. Going to College and Paying for it Online Video and Workbook… A Review! College!?! Crystal, your oldest child is probably 10 or 11 years away from entering college… what are earth are you doing spending your time figuring out the college financial aide process? Guess what?! Ask any parent of a child of at least high school age and he or she will tell you that the years will zip by and before you can blink you’ll find yourself trying to figure out how you are going to pay for all of your children to go to college. The last thing on earth anyone wants for any of our children is to be anchored down by debt and held back from the life they truly want to live, the life God is calling them to live, because they have mountains of student loan debt. So I say it is NEVER too early to start planning and figuring out just how your family is going to fund your children’s college education. Going to College and Paying for it Online Video and Workbook from College Common Sense is a program that will give your family the structure and guidance to help you through the process of finding scholarships, touring colleges, applying for financial aide and helping your students prepare. College for my children isn’t something I’m dwelling upon. In fact I can’t even say I expect them to follow the traditional path that I followed which was a four year university straight out of high school. I think there might be a great deal to be gained from spending some time perhaps in some sort of apprentice program or even working with an associates degree in the field of choice while also studying for the bachelor’s degree. But I want to be prepared for whatever path they choose. There are additional Free Lesson Plans that you can subscribe to and have delivered right to your email inbox on a weekly basis plus free videos on Youtube. 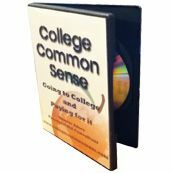 College Common Sense provides valuable insight for parents about how to discuss with children, even young elementary aged children all the way through high school age, about their hopes and dreams. For $25 a year (Or a one-time payment of $50 for a CD copy) parents receive access to videos and a monthly curriculum with age-level friendly ideas from elementary to high school. If your children are in high school and nearing college age I would certainly recommend this program to you. It takes much of the confusion out of the financial aide process…breaking it down into small bite sized steps that are manageable. It takes applying to college financial aide from overwhelming to easily managed. With my young children I’ve implemented ideas such as pointing out to them many of the occupations that people are doing in their world all around them. Whenever we are out and about on field trips, shopping, or at other appointments we talk about what each person is doing and what they had to do and know to get that job. We have started an All About Me notebook where my children can jot down their ideas or draw pictures about what they might like their future to look like. Even my five year old got in on this part. What a keepsake that will be some day. There certainly is a lot of valuable information in this program. There is some useful information for elementary and middle school age students and it is certainly never to early to start thinking about how to prepare for and pay for college. I mostly recommend this for families with children approaching the college age as the content is mostly geared toward that age group. If you are new to the college admissions process and your children are getting ready to jump into it with both feet, this could save you a great deal of time and energy as it clearly lays out all of the steps and expectations. Good luck and happy college planning! I just stumbled on something on Yahoo Finance called Don’t Get Your Money Advice From Suze Orman, Dave Ramsey: Pound Foolish Author. Now I’m NOT a fan of Suze Orman, she tells women to hide money from their husbands. I think that is deceitful and not a way to conduct a healthy marriage. She also seems to talk out both sides of her mouth switching her advice around according to who is endorsing her at the time. But that is a post for another time! I am a fan of Dave Ramsey however. We used his program to pay off over $55,000 in debt even as our income took a dramatic cut when I left the teaching field. We owe on nothing at all other than our house and we are currently building our net worth year by year. It is freeing! In fact I believe in Dave Ramsey’s program so much that I’ve lead the Dave Ramsey course Financial Peace University five times! So OBVIOUSLY I hit this link. What DID this woman have to say? Watch it yourself of course but here were some key points that stood out. Number one, she says yeah paying off your debt is a good idea but only if you can do it. WHAT? Only if you can do it? Define for me can or cannot do! I’ve seen people HUNDREDS of thousands of dollars in debt pay it all off. I’ve seen people with just a few thousand become so discouraged that they just couldn’t! It is ALWAYS good to pay off your debts in my opinion. We did it while cutting our income by about 30%. At first we were $500 a month in the red! We turned it around! Dave Ramsey and Suze Orman claim that you can get a 12% annual return on your investments in stocks and equities. Ms. Olen claims this isn’t possible. HELLO! We just got our statement in the mail TODAY and we got a 16.75% on our stock and equities investments last year. We followed Dave Ramsey’s advice on investing. No, you can’t get 12% on your money, you can do EVEN BETTER! She claims American’s networth tanked 40% between 2007 and 2010. We started digging out of debt in 2007. Between 2007 and 2010 our network INCREASED over 25%! If you include the years since 2010 our networth has increased 50%. That investment snowball is working. Don’t forget! The stock market tanked in 2008 and yet we still made considerable gains over all of these years. All while following Dave Ramsey’s advice to get out of debt, save for emergencies, and invest! There was one thing I did agree with. She says it isn’t a good idea to buy real estate with no money down. Yes, truth! Actually in a perfect world we’d just pay cash and leave out the banks. So what’s my point? You can live debt free, you can have emergency savings in the bank, you can invest and get a very good return on your money. Don’t let anyone tell you different! Hey if you have a getting out of debt story to share I’d love to hear it!